I heard about the Violins of Hope about a year ago, but it wasn’t until I attended a presentation about the project two weeks ago, that I fully understood the significance it. 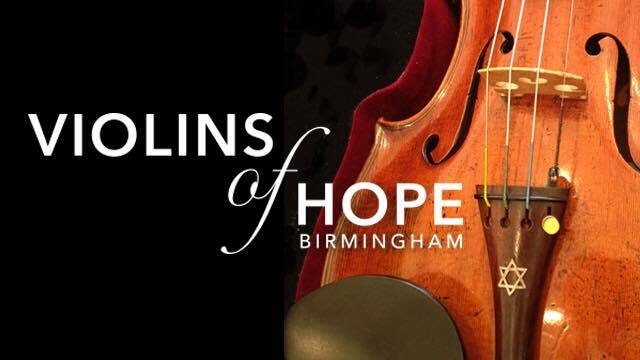 The culmination of all of the work to bring Violins of Hope to Birmingham comes together this week when four days of concerts, educational programs and interfaith dialogue surrounding historic violins played by Jewish musicians during the Holocaust. Yesterday, I got a glimpse of the events when I attended Karim Shamsi-Basha’s Hope, Harmony and History exhibit at the Levite JCC of Birmingham. Creator and Founder, Amnon Weinstein, whose restored “Violins of Hope” have become literal instruments for tolerance and peace around the world, said he is especially pleased to bring them to one of the key battlegrounds for civil rights in the America. “It is my hope that these restored violins can be played in Birmingham, Alabama, so that those who helped change the story of civil rights in America can hear their messages of hope for the future of all humankind,” Weinstein said. Both Weinstein’s wife, Assi, and their son, Avshi, will join him in Birmingham. Following in the footsteps of his father, Avshi has developed a passion for this work and has restored many of the violins coming to Birmingham. Weinstein’s invitation to Birmingham came from Sallie Downs, who saw a segment on television about the violins and felt compelled to bring them to her hometown. Downs traveled to Tel Aviv to ask Weinstein to bring “Violins of Hope” to Birmingham. 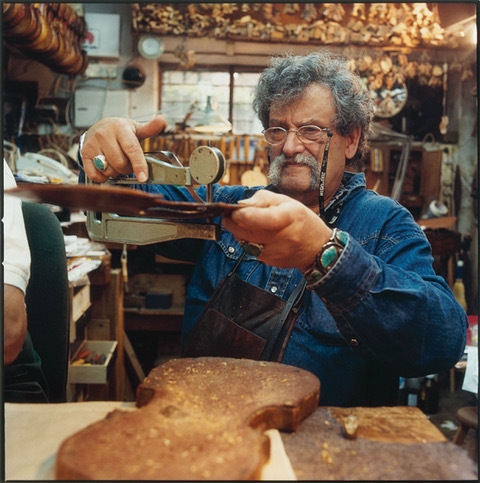 Nearly 50 years ago, a survivor first brought a violin into Amnon Weinstein’s shop for restoration, saying he had played the instrument while Nazi soldiers marched others to their deaths. 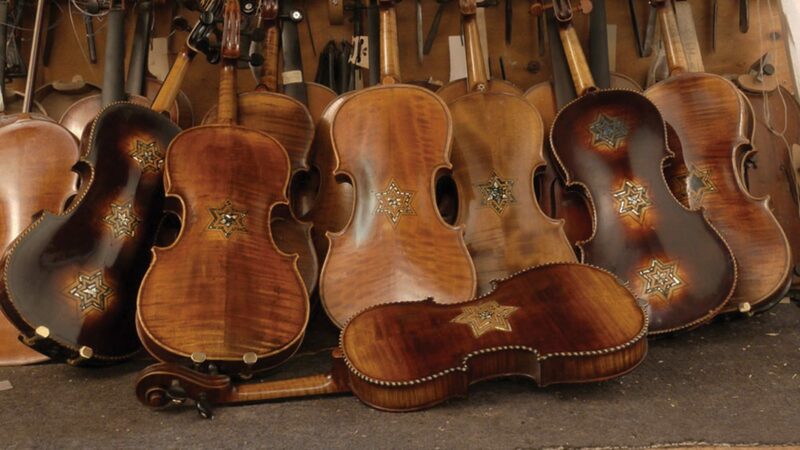 When Weinstein opened the violin’s case, he saw ashes and could go no further with the restoration. He was overwhelmed at the thought of his own relatives – 400 in all — who perished in the Holocaust. In 1996, though, Weinstein put out a call for violins from the Holocaust and began restoring them, hoping to honor the memories of those who died in concentration camps and to give voice to their stories. Birmingham residents will get to experience the restored violins when they will be played in a number of concerts scheduled throughout the week. 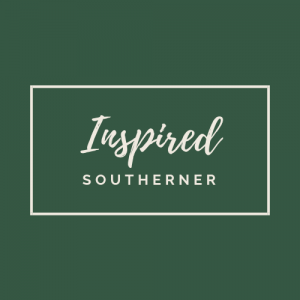 One of the deep stories of the past will come to life onstage on Wednesday at the 16th Street Baptist Church when for the first time when Sonia Becker’s father’s violin will be played. Music kept Sonia Becker’s father alive during the Holocaust, giving him inspiration and the means to survive in one of the darkest periods of history. Sonia heard about Amnon and Avshi Weinstein’s Violins of Hope, how they were restoring violins that had been through the Holocaust. 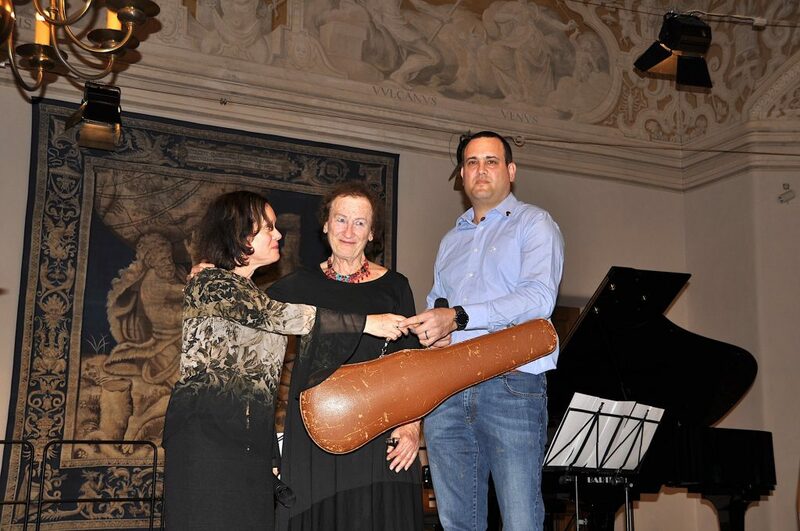 She recently attended a Violins of Hope concert at the Dachau concentration camp, where she gave her father’s beloved violin to Avshi.